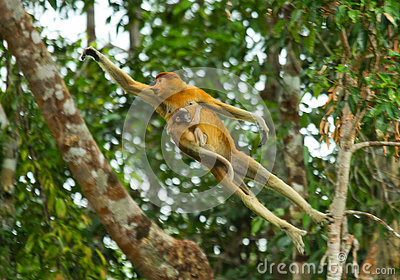 The female proboscis monkey with a baby of jumping from tree to tree in the jungle. Indonesia. The island of Borneo Kalimantan.